This post was supposed to be a pumpkin muffin recipe. Clearly this morning didn’t go as planned. In no way, shape or form is this bread even close to Paleo, though, so I took my first stab at converting it into Paleo muffins this morning. I’m going to share a little secret with you. The product it resulted in resembles muffins only in the fact that they are in muffin tins. Yes, there are pictures, and no, you cannot see them. They’re not inedible (which is a good thing, because Brandan would kill me if I threw away 18 muffins). They’re just…flat. And chewy. And dense. And taste not a lot like pumpkin and mostly like molasses, which is odd, because there’s not actually any molasses in them. But part of recipe development is testing and retesting until you get it right. And I promise you, once I get these right, they are going to be THE muffins. Just you wait. In the meantime, let’s talk about coffee. I used to not drink coffee. It was too bitter, and I couldn’t drink it black. On our first Whole30 a couple of years ago, I tried to make “bulletproof” coffee with coconut oil and my immersion blender. It. Was. Gross. I decided after having that coffee that I liked coffee. Sadly, we can’t afford Kona coffee on the reg, (that means “regular” for those of you who aren’t up to speed on your hip slang), so we settle for Charleston Coffee Roasters most of the time. I still can’t drink it black – a bit of coconut sugar and a splash of grass-fed, non-homogenized whole milk for me. And I can only drink one cup a day. I’ve got some great upcoming sponsors for the blog over the next few weeks, which I’m super excited to share with you guys! I’m going to taste test some different products, and do some recipe development, then give you my honest opinion on the product. The first one is from Cold Fire Coffee , who recently sent over a sample of their White Lightning Cold Brew Coffee for me to try out. It arrived on Wednesday in a cardboard box, which contained the bottle of coffee, bubble wrap, and a small, one time use ice pack. While the bottle does say to keep refrigerated, the ice pack was defrosted and warm, as was the coffee. I can appreciate the effort they took to try to keep it cold on it’s journey, but sadly, I don’t think the cardboard was quite insulating enough. The Good: Overall, this is a great Paleo iced coffee option. It tastes like coffee, and is not overly sweet like most iced coffees. It has just enough sweet to cut the bitterness. That being said, it did get a bit more bitter as we continued to drink it. I find that with most cold brew coffees, though – they always leave a slightly bitter aftertaste. Nothing that’s going to keep me from drinking it! The So-So: It’s THICK. They use coconut cream in it as the creamer, which makes it extra thick. It’s also got a bit of an oily mouth feel to it – it has coconut oil in it, and it leaves a bit of a coating of oil on the inside of your mouth. My favorite quote of the day from Brandan: “It’s like I’m wearing Chapstick, which is a side benefit.” That guy. You also can’t put it over ice, because the coconut cream will solidify. So it comes out nice and cold, but you have to drink it pretty quickly to keep it from getting warm. I imagine if you popped it in the freezer for a couple of minutes before serving you could get a better chill to it, or serve it in glasses that were kept in the freezer to keep it colder longer! Overall: (Notice there’s no “bad” section?!) This is one of the best Paleo iced coffees I’ve found. The Etsy listing does say that it has a “rich and creamy texture” and “you’ll think you’re drinking dessert,” which I definitely think is an honest and accurate description of it. It’s easy to drink, and half a bottle is easily enough for one serving due to how rich and thick it is. If you’re looking for a creamy Paleo cold brew, I’d definitely recommend giving this one a try! 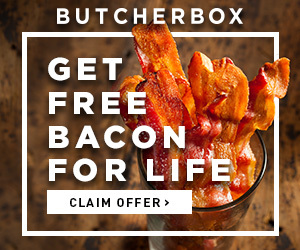 Discount Code: Cold Fire wants to share their deliciousness with you lovelies! 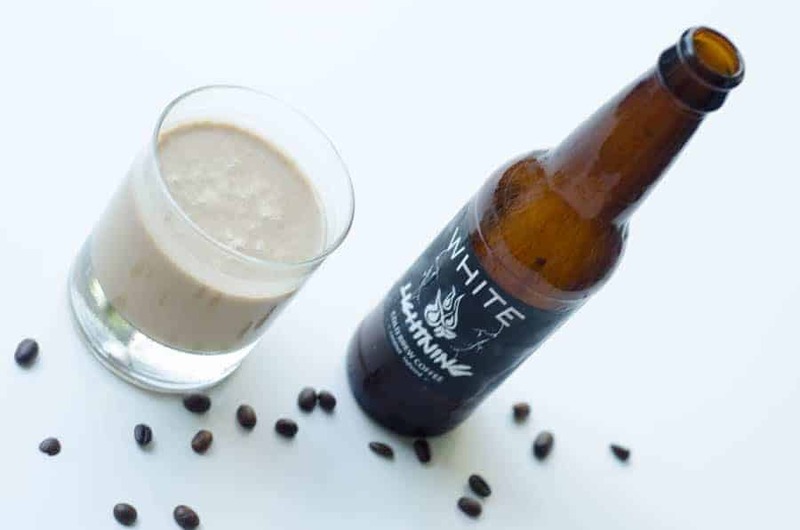 From now until October 8th, if you order White Lightning from Cold Fire Coffee, you can use the discount code of scully15 to receive 15% off your order. 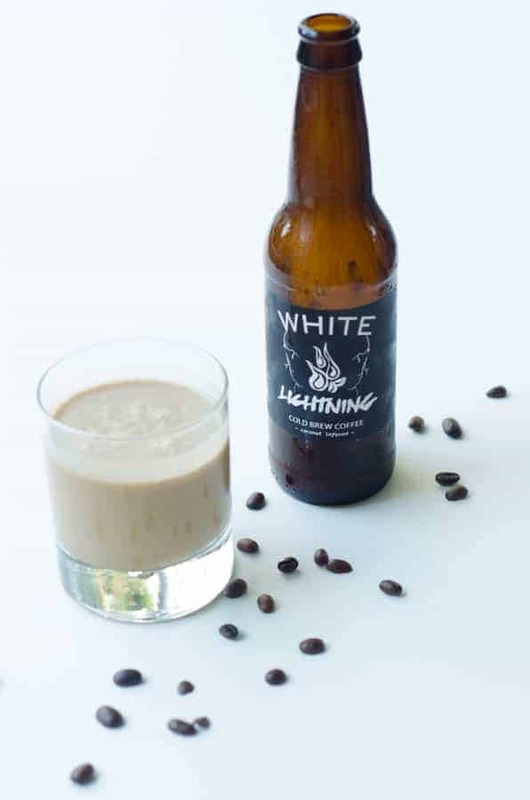 A shout out to Cold Fire Coffee for donating the White Lightning so I could provide you with this review! This post contains affiliate links, which means I receive a small commission if you make a purchase using these links, which help keep this blog running and allow me to continue to bring you delicious recipes!